In the previous post of the series I proposed that the Vision of Isaiah was the source of Simon/Paul’s gospel. This post will look at the place in the Vision that contains the major difference between the two branches of its textual tradition. Obviously, at least one of the readings is not authentic. But, as I will show, there are good reasons to think that neither reading was part of the original. Refer to the previous post for brief discussion of the various Latin and Greek, Ethiopic and Slavonic manuscript versions of the Ascension. 2… And I saw one like a son of man, and he dwelt with men in the world, and they did not recognize him. 2 And I saw a woman of the family of David the prophet whose name (was) Mary, and she (was) a virgin and was betrothed to a man whose name (was) Joseph, a carpenter, and he also (was) of the seed and family of the righteous David of Bethlehem in Judah. 3 And he came into his lot. And when she was betrothed, she was found to be pregnant, and Joseph the carpenter wished to divorce her. 4 But the angel of the Spirit appeared in this world, and after this Joseph did not divorce Mary; but he did not reveal this matter to anyone. 5 And he did not approach Mary, but kept her as a holy virgin, although she was pregnant. 6 And he did not live with her for two months. 7 And after two months of days, while Joseph was in his house, and Mary his wife, but both alone, 8 it came about, when they were alone, that Mary then looked with her eyes and saw a small infant, and she was astounded. 9 And after her astonishment had worn off, her womb was found as (it was) at first, before she had conceived. 10 And when her husband, Joseph, said to her, “What has made you astounded?” his eyes were opened, and he saw the infant and praised the Lord, because the Lord had come in his lot. 11 And a voice came to them, “Do not tell this vision to anyone.” 12 But the story about the infant was spread abroad in Bethlehem. 13 Some said, “The virgin Mary has given birth before she has been married two months.” 14 But many said, “She did not give birth; the midwife did not go up (to her), and we did not hear (any) cries of pain.” And they were all blinded concerning him; they all knew about him, but they did not know from where he was. 15 And they took him and went to Nazareth in Galilee. 16 And I saw, O Hezekiah and Josab my son, and say to the other prophets also who are standing by, that it was hidden from all the heavens and all the princes and every god of this world. 17 And I saw (that) in Nazareth he sucked the breast like an infant, as was customary, that he might not be recognized. 18 And when he had grown up, he performed great signs and miracles in the land of Israel and (in) Jerusalem. 19 And after this the adversary envied him and roused the children of Israel, who did not know who he was, against him. And they handed him to the ruler, and crucified him, and he descended to the angel who (is) in Sheol. 20 In Jerusalem, indeed, I saw how they crucified him on a tree, 21 and likewise (how) after the third day he and remained (many) days. 22 And the angel who led me said to me, “Understand, Isaiah.” And I saw when he sent out the twelve disciples and ascended. Most scholars think the L2 and S version of the Lord’s earthly mission is far too brief to be original. The foreshadowing in the Vision “expects some emphasis on the Beloved assuming human form as well as some story of crucifixion” (p. 483, n. 56). But instead L2 and S give us what looks like some kind of Johannine-inspired one-line summary: “he dwelt with men in the world” (cf. Jn. 1:14). 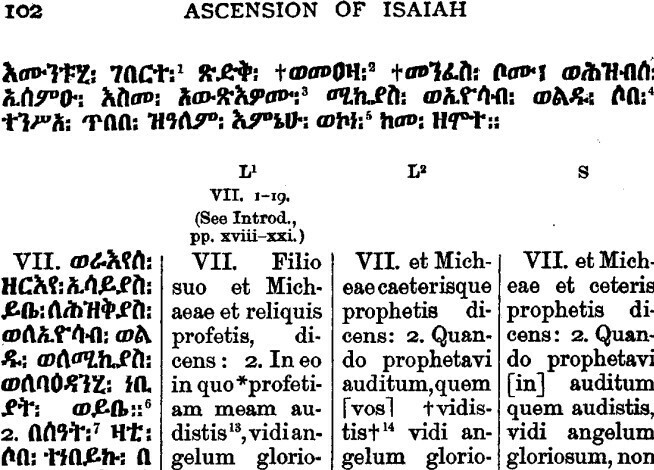 Those who think the Ethiopic reading represents the original see the L2 and S verse as a terse substitution inserted by someone who considered the original to be insufficiently orthodox. I agree that both the E and L2/S readings at 11:2 could be replacement passages, but I think Hall’s advice not to speculate should be disregarded, for it is his very observations about the Vision that provide some good reasons to suspect that 11:2-22 did not belong to the original text. It is he who points out that foreshadowing and repetition characterize the Vision—except when it comes to the birth story! It is not just the nativity’s presence in the Vision that stands out as an anomaly; its absence from the rest of the Ascension as a whole is hard to explain. And he (Hezekiah) handed to him (Manasseh) the written words which Samnas the secretary had written out, and also those which Isaiah the son of Amoz had given to him and to the prophets also, that they might write out and store up with him what he (Isaiah) had seen in the house of the king concerning the judgment of the angels, and concerning the destruction of this world, and concerning the robes of the saints and their going out, and concerning their transformation and the persecution and ascension of the Beloved. (Asc. Is. 1:5b). In composing the Ascension of Isaiah, the author alludes to doctrines behind most of the Vision of Isaiah… Lists of appropriate revelations allude to most of the elements in the vision. (“Isaiah’s Ascent to See the Beloved: An Ancient Jewish Source for the Ascension of Isaiah?,” Journal of Biblical Literature, 113/3, 1994, p. 474). I can think of only two major exceptions: nowhere does the author mention the proof that what is done on earth is known in heaven (7:25-27; 9:19-23) and nowhere does the author allude to the virgin birth story (11:1-16)[n. 46, p. 474, my bolding]. The total omission of any reference to the Lord’s miraculous birth is puzzling for, as Hall points out, the birth is “elaborated at such length” (16 verses) in the Vision. How did it apparently escape the radar of the author of the Ascension when he alludes to so many other elements of the Vision? The answer, I suspect, is that the nativity wasn’t in the Vision when the Ascension incorporated it. Something else was. Since a birth account is totally missing from the L2 and S branch of the textual tradition, and since the birth account that is in the Ethiopic branch constitutes both an interruption to the pattern of the Vision and an exception to the lists of revelations that appear elsewhere in the Ascension, I think it is justifiable to speculate that originally there was a different passage present at 11:2-22.
combine this with an early Basilidean teaching about a double transformation that occurred on the road to Golgotha. I saw the Lord descend into the world, transforming himself and becoming like a son of man. And the rulers of this world did not know who he was. And as he was coming into Jerusalem from the country, soldiers were leading a rebel out to crucify him. The children of Israel had risen up against the man and handed him over to the ruler. The soldiers compelled the Lord to carry the man’s cross and brought him to the place of crucifixion. And transforming himself the Lord took on the appearance of the other and, in turn, made the man look like himself. And the transformations were hidden from the rulers of this world. Then I saw that they crucified the Lord. It was the third hour on the day before the Sabbath when they crucified him. They gave him wine drugged with myrrh, but he did not take it. They crucified him and divided his garments, casting lots on them, what each should take. The inscription of the charge against him read, “The King of the Jews.” With him they crucified two robbers, one on his right and one on his left. Those passing by reviled him, shaking their heads and saying, “Save yourself, if you are the son of God, and come down from the cross.” Likewise the chief priests, with the scribes, mocked him among themselves and said, “He saved others; himself he cannot save. Let the Christ, the King of Israel, come down now from the cross that we may see and believe.” And those too who were crucified with him insulted him. At the sixth hour darkness came over the whole land until the ninth hour. And at the ninth hour he cried out with a loud voice and breathed his last. When the centurion who stood facing him saw how he breathed his last he said, “Truly this man was a son of God!” When it was evening he was taken down from the cross and buried. And I saw him transform himself and descend to Sheol and plunder there the angel of death. On the third day he rose bringing many of the righteous with him. that, as noted by Hall, “The foreshadowing expects some emphasis on the Beloved assuming human form as well as some story of crucifixion” (“Isaiah’s Ascent to See the Beloved: An Ancient Jewish Source for the Ascension of Isaiah?,” Journal of Biblical Literature, 113/3, 1994, p. 483, n. 56). that the ruler of this world will fail to recognize the Lord he crucifies (9:14). My proposal duly emphasizes these items. how the Lord came to be called “Jesus” and “Christ” in the world. The emergence of those names for him is apparently foreshadowed too in the Vision, for he is the one “who is to be called in the world Jesus” (9:5); “who is to be called Christ after he has descended” (9:13). Although those are sometimes viewed as secondary insertions, it may be that they were part of the original Vision. The idea would be that the heavenly Lord—the true Savior and King—acquired those appellatives as the ironic result of his surreptitious switch of places with a would-be earthly savior (“Jesus”) and anointed one (“Christ”). My proposed passage has recourse to a belief in a double transformation that, according to Irenaeus, goes back at least to Basilides, a pupil of the Simonian Menander. Now it is true that, as Irenaeus describes it, the transformations in question resulted in the Lord’s escape from crucifixion. But Irenaeus has almost certainly mixed up the parties involved. Why would anyone think the crucifixion of a merely human passer-by would be salvific? Surely Basilides was aware that wrongful executions had happened before and will happen again. And what kind of monster would his Lord be if he was laughing while an innocent was getting crucified in his place? No, it is much more likely that the two transformations were viewed as the means whereby the rulers of this world were tricked into crucifying the Lord. The one who “was crucified through ignorance and error” was the Lord of glory, as in 1 Corinthians 2:8. The one who escaped crucifixion was the insurgent. And if we put ourselves in Irenaeus’ shoes, we can see how it was almost inevitable that he would misunderstand the double transformation. For he was writing towards the end of the second century when all the gospels—gnostic and orthodox alike—possessed a Jesus who had engaged in a public ministry on earth. And in them the Lord, having completed his public ministry, was arrested and led out for crucifixion. So from the perspective of Irenaeus, if Basilides taught that some kind of double transformation occurred on the road to Golgotha, the Lord had to have been the escapee. I think Irenaeus was mistaken and that his mistake was induced by the development (i.e., a public ministry for the Lord) that the initial gospel had undergone about fifty years before his time. Now scholars have noticed that there is a careless use of pronouns at the point in the Markan passion account that deals with the passer-by. As a result of the negligence, the Markan account “could be read in a way that appears to give some support for Basilides’ assertion that not Jesus but Simon of Cyrene was crucified” (Jesus, Gnosis and Dogma, Riemer Roukema, p. 109). After Simon of Cyrene was introduced there, it is written that they brought ‘him’ to Golgotha and crucified ‘him’ there (Mark 15:21-24). Read in context, it becomes clear that ‘him’ refers to Jesus, because previously it is written, ‘Then they led him out to crucify him’ (Mark 15:20), and this is unmistakably about Jesus. In the transition from Mark 15:21 to Mark 15:22, the evangelist has neglected to indicate, however, that he did not mean Simon, but Jesus who was brought to Golgotha. In this way, this gnostic exegesis could be invented. (Jesus, Gnosis and Dogma, Riemer Roukema, pp. 109-10, my bolding). Thus, it is argued, the context of the pronoun ‘him’ in Mk. 15:21 makes it clear that the one who was crucified was the one who is the subject of Mark’s Gospel, for “the story is mainly about Jesus, and it is clear that Jesus is the one being taken to Golgotha to be crucified” (Mark—A Commentary, Adela Yarbro Collins, p. 734). But many scholars also acknowledge that the author of GMark adapted a pre-Markan passion narrative. So the question becomes: What was the original context of that narrative? Was it the Vision of Isaiah? It may be that, as the Pauline letters seem to indicate, its crucified Lord did not spend a lifetime on earth and did not have a public ministry. If the earthly phase of the Lord’s mission in the original gospel consisted only of his incognito entry into the world for crucifixion, the double transformation on the way to Golgotha would make sense as his entry point to that goal. The loose Markan pronouns and the teaching attributed to Basilides may be surviving traces of that original entry point. Assuming that the original Vision had the Lord enter the world in the way I have proposed, a natural question is: Why did someone later substitute an entry via miraculous birth? My tentative thought is that in time the original passage may have come to be viewed as too sympathetic to the Jewish zealot cause. After all, in it the Lord does swap places with someone who tried, presumably by violent means, to set himself up as king of the Jews. I very much doubt that the author of the Vision condoned violent measures. If that was one of his purposes, I think it would have been reflected in the later parts of the Ascension of Isaiah, especially in the interpolation where Nero’s rule over the world is described (Asc. Is. 4:1-13). Even there the text issues no call to take up arms in resistance. Nevertheless, since the switching incident could easily be interpreted as sympathetic to Jewish rebels, it may have later been deemed unacceptable. And now Judaea was full of robberies; and, as the several companies of the seditious lighted upon anyone to head them, he was created a king immediately, in order to do mischief to the public. They were in some small measure indeed, and in small matters, hurtful to the Romans, but the murders they committed upon their own people lasted a long while (Josephus, Antiquities of the Jews 17, 10, 8, my bolding). When Varus came from Syria and lifted the rebel siege of Jerusalem, the citizens of the city made clear that they “were on the side of the Romans” (Antiquities 17, 11, 9) and were themselves very much victims of the rebels. Varus agreed and sent his army out into the country to apprehend those behind the rebellion. Great numbers of them were caught. Varus put the least culpable in custody, but the most guilty he crucified, “in number about 2000” (Wars 2, 5, 2), with the apparent approval of the citizens of Jerusalem. To me it seems plausible that the Vision of Isaiah was written in the aftermath of that tumultuous period. The author had no particular would-be king in mind, and no particular love for any of them. The situation merely provided him with a mechanism for getting the Lord crucified by the rulers of this world. But in time that mechanism may have become an embarrassment to some. It is one thing to have the Lord falsely accused of being a lestes (as in the later canonical gospels) and another to have him actually trade places with a guerilla leader, getting the would-be king off the hook in the process. In the account that is currently lodged in the Ethiopic versions there is little trace of rebellion. The Lord enters the world as a baby. And when the time comes for his crucifixion it is simply said that: “after this the adversary envied him and roused the children of Israel, who did not know who he was, against him” (11:19). There are no taunts that he claimed to be a king of the Jews or to save them. Neither the Romans in general, nor any Roman in particular is mentioned. No particular grounds for the crucifixion are provided. Transformation and crucifixion, then, are almost exclusively the elements of the Lord’s visit to earth that can be found in the uncontroversial parts of the Pauline letters. In the references that the Pauline letters make to the earthly phase of the Lord’s mission the stress, as acknowledged by all, is clearly on the crucifixion. Apart from that, attention is given in the Philippians hymn to the Lord’s change of form, but there too the transformation is brought into immediate connection with his death: “And being found in appearance as a man, he humbled himself, becoming obedient unto death, even death on the cross” (Phil. 2:8). The hymn apparently has the Lord take on the form of a man, not to teach, work miracles, or gather disciples, but to die. And it is apparently the same transformation that is behind the failure of the rulers of this world, as related by 1 Cor. 2:8, to recognize the Lord of glory when they crucified him. Transformation and crucifixion, then, are almost exclusively the elements of the Lord’s visit to earth that can be found in the uncontroversial parts of the Pauline letters. And it is not just that there is no public ministry. As Earl Doherty pointed out in Jesus: Neither God Nor Man, pretty much the rest of the passion narrative as found in the canonical gospels is missing too. No scourging or crowning with thorns, no betrayal by Judas, or denials by Peter, or abandonment by the disciples, or preference of Barabbas over Jesus. Besides the crucifixion, arguably the only other reference to a passion incident is the mention of “insults” in Rom. 15:3. The reason that transformation and crucifixion are practically the only elements of the Lord’s visit to earth that can be found in Paul’s letters is because one immediately followed the other in the source of his gospel: the Vision of Isaiah. My speculative proposal can explain this situation. Those in Rom. 15:3 who insulted him (oneidizō) are the same who insulted him on the cross: “Those who were crucified with him also insulted (oneidizō) him” (Mk. 15:32). The names Christ and Jesus—which have practically become personal names by the time the first Pauline letters were written—were originally ascribed to the Lord because of his surreptitious swapping of appearance with a would-be Christ and Jesus (Savior) who was being led out of Jerusalem for crucifixion. That transformation was immediately followed by the Lord’s crucifixion. The reason that transformation and crucifixion are practically the only elements of the Lord’s visit to earth that can be found in Paul’s letters is because one immediately followed the other in the source of his gospel: the Vision of Isaiah. I have left out of my speculative proposal parts of GMark that are arguably later redactional additions, including the cast of named characters: Simon the Cyrenian who is the father of Alexander and Rufus, Mary the Magdalene, Salome, Mary the mother of Joses and James the Small. In a subsequent post I will argue that these were Simonian additions to the original passion narrative. They Simonized it. And I will also argue that the incidents that immediately precede the passer-by in GMark—the Last Supper, betrayal by Judas, denials by Peter, abandonment by the disciples, and preference of Barabbas over Jesus—are allegorical portrayals of events from the last trip of Simon/Paul to Jerusalem. The release of Jesus Barabbas—the son of the father— by Pilate is an allegorical portrayal of the release of Simon/Paul by Felix. The release of Barabbas would function as the seam that separated the allegory about Simon/Paul from the earlier story of the Son’s crucifixion. If this is correct, the only transitional verses that join the allegory to the crucifixion are Mk. 15:16-20 i.e., the crowning with thorns of the king of the Jews and the mockery of him by the soldiers. This transitional material may have been taken from Philo’s account of the mockery of Carabbas (In Flaccum, 6, 36-9). But before coming to Mark’s Gospel I will devote one more post to the Vision of Isaiah. Posted on 2014-01-27 20:34:42 GMT+0000 by Roger Parvus. This entry was posted in Roger Parvus, Simonian Origins and tagged Ascension of Isaiah. Bookmark the permalink. Except at the end he makes the same mistake, if it is one, as you say Irenaeus did? We’re in a world of speculation. It might be worth factoring in a pre-Christian precedent for a god in human form being unknowingly replaced by an earthly victim. So, yes, the idea of divinities changing places is definitely in the literature. Odd that it would be Euripides in these two cases. The traditions seem to go both ways, don’t they? In the First Apocalypse of James, Jesus appears to die on the cross, but he has actually tricked one of the archons into taking his place. I’m not sure which passage you are referring to in the First Apocalypse of James. Could you provide the quote? According to the earliest heresy hunters, this docetic view of Christ goes right back to Simon of Samaria. He claimed that the Son (i.e., Simon himself at his first descent) was not a man, but only appeared to be one. And that he only appeared to suffer, but did not suffer in reality. The idea would be that the heavenly Lord—the true Savior and King—acquired those appellatives as the ironic result of his surreptitious switch of places with a would-be earthly savior (“Jesus”) and anointed one (“Christ”). then a political motivation? A way to spiritualize and co-opt appellatives very much often associated with the zealot hopes and ideology ? But this co-opting the name ”Jesus” and ”Christ” was an operation made exclusively by Paul/Simon? Not by Pillars before him? Or was the author of Vision the first in history that used these appellatives as ”earthly nick” of camouflaged Son ? How did the Pillars name the Son? And this motivation can explain the eventual pointer to the name ”Jesus” in Philo (you can see the Carrier’s idea about), an other pacifist Jew with all interest, maybe, to the same allegorize names in anti-zealot function ? I will go into this in the next post. But in brief: Yes, I think the Jerusalem church too used the new “Jesus” and “Christ” nomenclature that the Beloved had acquired by fooling the rulers of this world. I think the Vision of Isaiah was accepted as authentic by the Jerusalem church first. And that they were the first to claim that the resurrected Son had appeared to some of them and informed them of the good news that the descent prophesied for him by the Vision had been fulfilled. He had tricked the rulers of this world just as it had been foreseen that he would! Scripture (the Vision) had foretold it and visions of the resurrected Son after-the-fact confirmed that it had occurred. Obviously, the proper response was to believe it :>). But I don’t think the Vision remained as central to the belief of the Jerusalem church as it was for Simon/Paul. For them the Vision was only one of a number of important end-time revelations. And they interpreted it differently than he did. Ultimately the result was that, as Simon/Paul saw it, they distorted it into “another gospel.” And they, in turn, accused him of the same. So you believe there really existed a Jerusalem church? It wasn’t a later invention by Hellenistic Jews to stress continuity with Judaism? Yes, I think there was a Jerusalem church, but I wouldn’t look in Acts of the Apostles to find out about it. What can be gleaned from the letters of Simon/Paul is more reliable. I think leaders of the Jerusalem church were providing the letters of recommendation for his opponents. If so, we can learn something about that church from what Paul says about those opponents. And from what he says about the collection for the saints in Jerusalem. But, as pointed out in my original comment, this is a subject I will get into in part 9. I think that the Philo-Zechariah connection is entirely compatible with an early version of AoI that explains the names “Jesus” and “Christ”. In this scenario, the early verison of AoI chapter 11 is an etiological myth which retcons the origin of the names. That is, the author already knew that the Beloved should be named Jesus and Christ, an idea ultimately derived from the messianic imagery of Zechariah, but sought to provide a new backstory for why He had those names. Perhaps this should have been split into two posts, because I feel the birth narrative you’ve quoted deserves a post all its own. It’s quite an alternative version of the birth. In fact, it looks like a transitionary stage between an Angelic/God Jesus who just lands on earth fully-grown…and the birth narratives that we’re accustomed to. So the final forms of the birth narrative at the point this one was written weren’t quite yet set in stone? And there had to be a little invention along the way because the earliest part of the Jesus story didn’t have a birth narrative? I would not be surprised if this was the first Jesus birth narrative. But since I think GMatthew with its nativity story was written early 130s, the one in the Vision could have been written and inserted in the Ascension of Isaiah just shortly before that. In the Vision’s birth story, by the way, it is not clear that Mary is portrayed as really pregnant—as opposed to pregnant only-in-appearance. That is, the story may just be saying that a double transformation was effected by the Lord. First, Mary is transformed to appear pregnant. Then, when baby Jesus appears alongside her, she is transformed back to her “non-pregnant” look. Could it be that when the Simonians wrote Mark, the proto-orthodox initially refuted their claims by going back to the main source, the Vision, and interpolating it with new elements? Then later, they decided to refute Simonians by using a Gospel narrative with elements from their edited Vision? Thus, they backed up their claims using the Vision (which later was forgotten and only ascribed to heretics). The 11:2-22 passage doesn’t come across as proto-orthodox. Its Jesus is docetic. And it doesn’t contain anything directed against Simonians, at least that I can see. As I suggested in the post, the author’s intent may have merely been to replace a divine entry that could too easily be construed as sympathetic to Jewish rebels. Such a construal, especially after the 66-70 Jewish War, may have bothered those Jewish Christians who looked to divine intervention rather than human means for the establishment of God’s kingdom. The suspected interpolation keeps intact the docetism of the original passage but replaces the offending double transformation (i.e., the change of places with a rebel) with a different one that was harmless (i.e., a baby appears next to a woman who had previously been made to look pregnant). So the sequence, as I see it, would be: Composition and addition of the 11:2-22 passage to the Vision of Isaiah sometime between 100-130 CE, followed shortly thereafter by the composition of urMark (a Simonian allegory). Then, in the early 130s, several proto-orthodox reactions to urMark: GMark, GMatthew and GLuke. This makes sense to me as well. I can easily see how this account (or one like it) developed into both Luke’s and Matthew’s nativity stories. Someone just pointed me to an interesting video clip: http://www.ted.com/talks/david_deutsch_a_new_way_to_explain_explanation.html — “David Deutsch: A new way to explain explanation”. Our connection to reality is never just perception. It’s always, as Karl Popper put it, theory-laden. Scientific knowledge isn’t derived from anything. It’s like all knowledge. It’s conjectural, guesswork, tested by observation, not derived from it. So, being proved wrong by observation, and changing their theory accordingly, still wouldn’t have got the ancient Greeks one jot closer to understanding seasons, because their explanation was bad: easy to vary. And it’s only when an explanation is good that it even matters whether it’s testable. Is the idea that being killed was necessary in order to gain entrance to Sheol? Divine power alone wouldn’t do the trick? Could this be more evidence for your thesis? Perhaps. But I’m still very much on the fence about identifying the DSS community with the Jerusalem church. And so the DSS “Spouter of Lies” may not be Paul. As you know, in countless religious disputes both before and after Paul’s time someone often ends up being called a liar. If the DSS community were the Jerusalem church, then it could hardly be linked to Mandaean beliefs as we know them, since no Christian would think of Jesus as the liar. It seems entirely possible that DSS community was some kind of sister sect which saw the Christians as schismatics, although unless there was a real historical Jesus, the idea of a historical Jesus who spouted lies cannot be very early in any event. If the Ascension of Isaiah originally contained a passion narrative very similar to the one in the canonical Gospel of Mark, that means that the Ascension of Isaiah was twice edited by different editors who objected to that material strongly enough to replace it completely. Neither of those editors could have been proto-Orthodox, because surely the proto-Orthodox would have fixed that passion narrative with minor alterations, just as we see in all four canonical Gospels. This hypothesis seems a bit over-complicated (of course, entirely possible nevertheless). It strikes me more likely that, whatever the original of the Ascension of Isaiah had to say about Jesus’ life on earth beyond what is contained in J2/S, it was so thoroughly objectionable to proto-Orthodox sensibilities that a proto-Orthodox redactor would feel compelled to remove it. The Markan passion account would have been written separately, either in ur-Marcus or in some other, hitherto unknown, underlying source for Mark. If, as I proposed, 11:2 in the L2/S versions is an edit, the editor could have been someone whose gospel was the Fourth Gospel. The words “and he dwelt with men in the world, and they did not recognize him” is a summary somewhat reminiscent of the one found in the Johannine Prologue. “He was in the world” (Jn. 1:10) “and dwelt among us” (Jn. 1:14) “but the world did not know him” (Jn. 1:10). I am not so sure that an advocate for the Fourth Gospel “would have,” as you say, “fixed that passion narrative with minor alterations.” And, still assuming 11:2 in L2/S is an edit, we don’t know which version of the Ascension of Isaiah it was intended to edit. It may be that the only version the editor knew was the E/L1 which devotes 17 of its 21 verses in chapter 11 to a miraculous birth account. As you know, the Fourth Gospel doesn’t have a birth story. So if the L2/S editor was a devotee of that Gospel, he may have seen the easiest fix to be the excision of the E/L1 passage altogether and the substitution of a summary inspired by the Fourth Gospel’s Prologue. Your suggested original is certainly entirely possible and you’ve been 100% upfront about its speculative nature. The Johannine connection would make sense. Anyway you look at it, however, it still requires that two editors independently removed material which was unobjectionable to the Christian mainstream (whether that was the Passion narrative twice; or the Passion narrative the first time and then the miraculous birth story plus brief summary of the public ministry as per the longer Vision). All else equal, I still think it would be simpler to assume the original version was so thoroughly shot through with “heretical” material that orthodox editors consistently felt the urge to get rid of it. I see how you think that Irenaeus misunderstood Basilides in believing that Jesus was not actually crucified, but that Simon was crucified in his place. I understand your concern that this would not fit into Paul’s theology, nor align with the Ascension of Isaiah. The Beloved Son must be the one who dies to rescue the saints. But the Quran is certainly a witness to this very understanding of what happened: “They said, “We killed the Messiah, Jesus, the son of Mary, the messenger of Allah.” But they did not kill him, nor did they crucify him; but another was made to resemble him to them” (Surah An-Nisa 4:157). The Quran is another witness in favor of Irenaeus’ correct understanding of Basilides’ teaching. I think it unlikely that the writer of this Surah just happened to believe this same sequence of events that nobody was actually teaching. I think it probable that the Muslim writer was acquainted with Basilides’ version of Christianity. But I think it significant that Irenaeus thinks this teaching originates with Basilides, and not with Simon Magus. 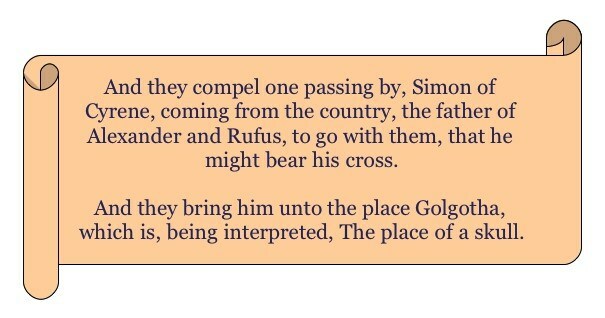 I want to suggest that the story of Simon taking the cross did not reflect the original Simonian allegory, but may have been added by Basilides to honor Simon and represent the transfer of the Christ spirit from Jesus to Simon. This would makes sense in connection with Jesus’ cry of sudden abandonment: My God, My God, why have you forsaken me? In the original Simonian teaching, the spirit of Christ should not leave. It needs to go into hell to bind the strong man and rescue the saints. Thus I am suggesting that the cry of dereliction was added when the story of Simon of Cyrene was added. I would love to get your take on this. Also, am I right in assuming that the reason Jesus needed to be crucified in Simon’s theology is merely to enter the world of the dead so he can rescue the saints? Otherwise, I don’t see a reason for it (since it is not a sacrificial death). I’d appreciate your clarification. Thanks. 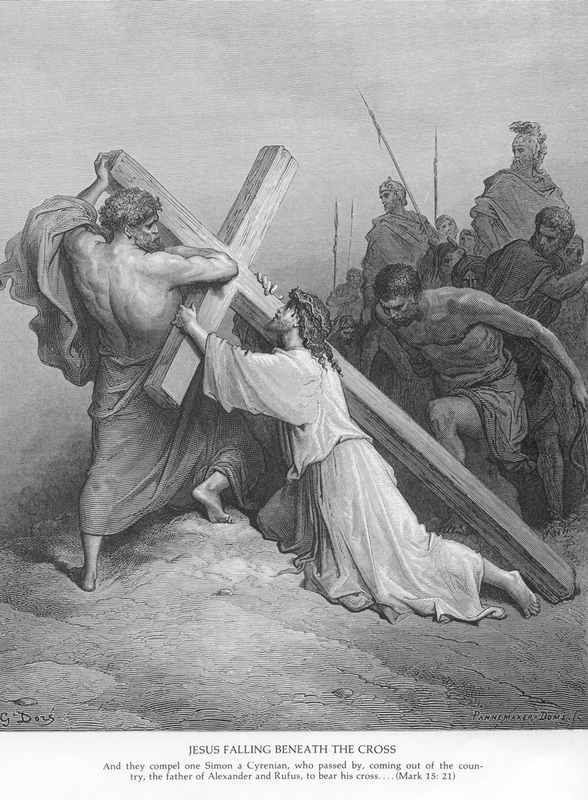 I am quite open to the kind of scenario you propose regarding Simon of Cyrene and the cry of dereliction on the cross. As I mentioned in one of my responses to you yesterday, I am comfortable enough with the idea that the source of Simon/Paul’s gospel was the Vision of Isaiah, but I am much less comfortable regarding which version of it he knew. It may well be that it was the version with the docetic nativity (Ethiopic). If so, it had no Simon of Cyrene story or words of Jesus on the cross. 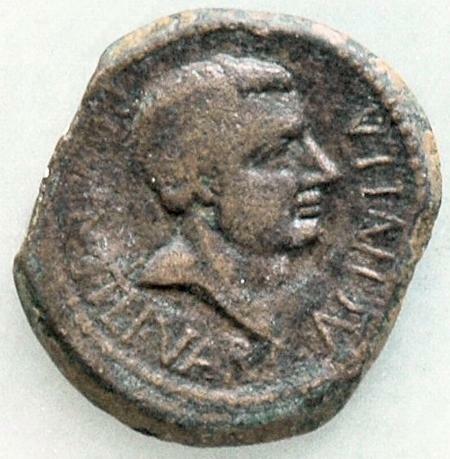 These then would have come in later, likely when Mark or proto-Mark was put together, presumably by a Simonian Christian. In regard to Simon/Paul’s soteriology: I think he saw Christ’s work as a rescue mission. Mankind was oppressed by the angels that made the world. Christ tricked those angels into committing lese majesty against him. One penalty for that crime was that the offenders lost their dominion over anyone living or dead who puts his trust in Christ. Those who put their trust in him now belong to him and receive his Spirit, and this forms them into some kind of mystical unity with him. I also wanted to add that this may explain why the Marcionite Gospel of John takes out both the Simon of Cyrene story and the so-called “cry of dereliction.” He is trying to restore the gospel as Simon taught it. I also wanted to say that Simon’s understanding of the purpose of the crucifixion of Christ as a rescue operation to free the saints who were bound in death seems to explain the odd account in Matthew following the crucifixion: “The earth quaked, rocks were split, tombs were opened, and the bodies of many saints who had fallen asleep were raised. And coming forth from their tombs after his resurrection, they entered the holy city and appeared to many” (Mt. 27:51-53). Thus, Matthew is the only one to represent Paul’s understanding of the crucifixion. No doubt this should be kept in mind when thinking through the synoptic problem. 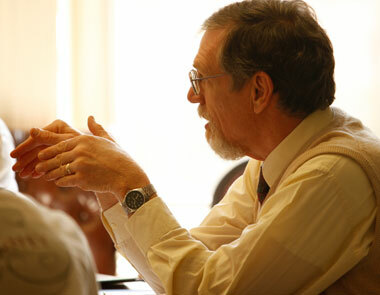 It may support Matthean priority, just as church tradition suggests.